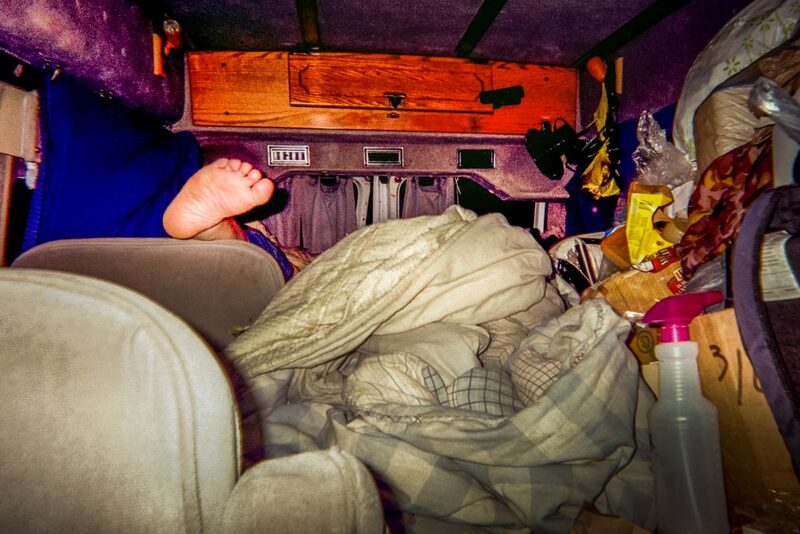 Since becoming stranded in Missouri, Doni has lived in her van with her daughter and her three dogs. Doni was living with her daughter when they lost their place to live in mid-2016. Her disability was cut in July 2016 and with no income, she was forced to live on the streets. With the two of them and three dogs, living quarters are tight. Doni took photos of nature and the elements the family is currently living in while stranded in Missouri. Her favorite picture is of one of her dogs taking a bite out of a mango. Unfortunately, this is not the first time Doni has been homeless. In 2009, she lost her job and her medical benefits. Her storage unit was broken into and she lost many of her personal belongings. Doni lived on the streets, then, for about a year. Doni dreams of a future that brings equality, where “everyone lives equally and there is no poor and no rich,” said Doni.